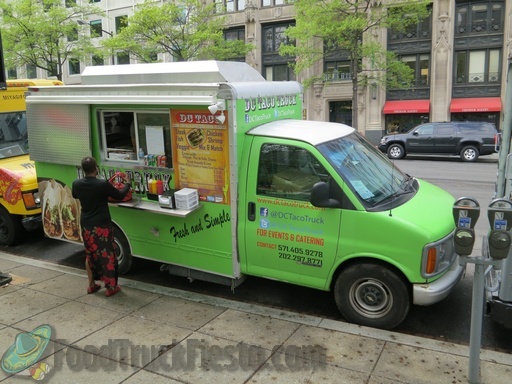 "Beautiful spring Thursday at #Farragut and #lenfant    "
In the last 5 to 6 weeks the DC Taco Truck has not been at the 20th Street Virginia Ave (State Department Location) YOUR TRUCK ONLY STAYS AT THE FARRAGUT LOCATION...PLEASE COME BACK AND SERVICE THE PEOPLE WHO LOVE YOU AT THE STATE DEPARTMENT!!!! Dec 30, 2014 by J.P.
2 stars and that is generous. DISAPPOINTED! SKIMPY on ingredients. Cold, firm, not well seasoned steak and shrimp. More pico de gallo than anything else. a few very small pieces of protein and a little cheese sprinkled on top. Tacos are usually easy to do...i.e., if you have even a bit of a clue about mexican or southwest flavor profiles...other taco trucks are at least decent...this one is terrible. Not sure what they are trying to compete on? Certainly isn't quantity, price, or taste. One of the worst trucks in the bunch! I just don't see what all the rant and rave is about. 1. Excellent customer service. The guy was very friendly and likeable. 2. Quick service, took 5 minutes or less for my food to come out. 3. The shrimp and fish tacos were nasty! Oh gross. The shrimp smelled and tasted very "fishy". The fish taco was very tart and just not a good flavor for me. The steak taco however was off the chain 🙂 So yummy. Next time I will try steak and chicken. I had never been to this truck before but after reading a few reviews, I decided to try it. I got the Combo with three tacos. 2 Chicken and 1 Shrimp. 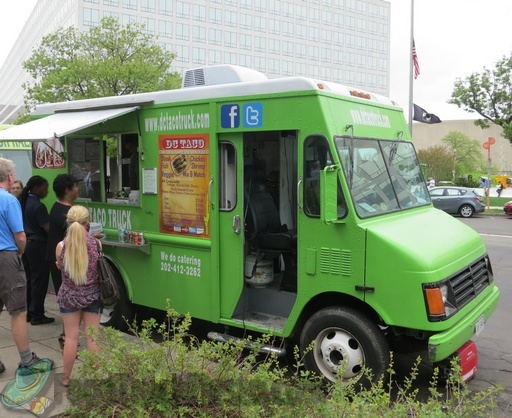 The best truck out there - we have tried others when they are not there but are convinced that if DC Taco Track is not there, we will not go to the trucks for lunch at all! Fast awesome & service + best food!!!! I've ordered from this food truck twice now. Great customer service (e.g., friendly and fast turnaround on my order). Also,the food is delicious. How Much Did It Cost? : I believe it cost $9. This truck is usually pretty solid but they got my order wrong today and I didn't realize it until I got back to my desk. Ordered 2 chicken, 1 shrimp. This truck is usually pretty solid but they got my order wrong today and I didn't realize it until I got back to my desk. Ordered 2 chicken, 1 shrimp...got 2 steak, 1 chicken. The chicken is ALWAYS good but I am not a fan of the steak, a bit too chewy for my liking. However, everything else was spot on, including the yummy chips and salsa. I only gave 4 stars because my order was wrong. I have been to this truck a couple of times at metro center and they never let me down. The food is delicious, the prices are reasonable and the customer service is extraordinary. The food is so fresh and made to order. This is definitely one of my favorite trucks! 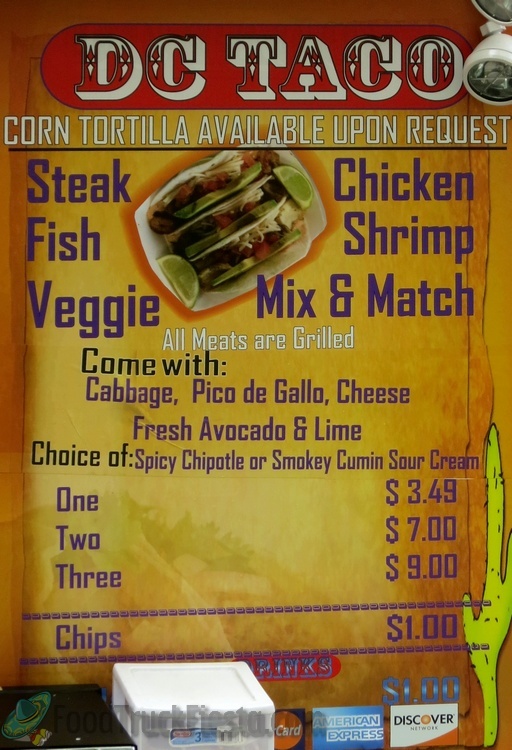 DC Taco Truck’s menu consists of shrimp, fish, chicken or beef tacos with cabbage, pico de gallo, cheese and a choice of spicy chipotle sour cream or a smokey cumin sour cream. One can order in quantities of 1, 2 or 3 tacos. They started serving on April 16, 2012.